School is out… days have gotten longer… and it’s time to bring out the Good ‘Ol Grill! 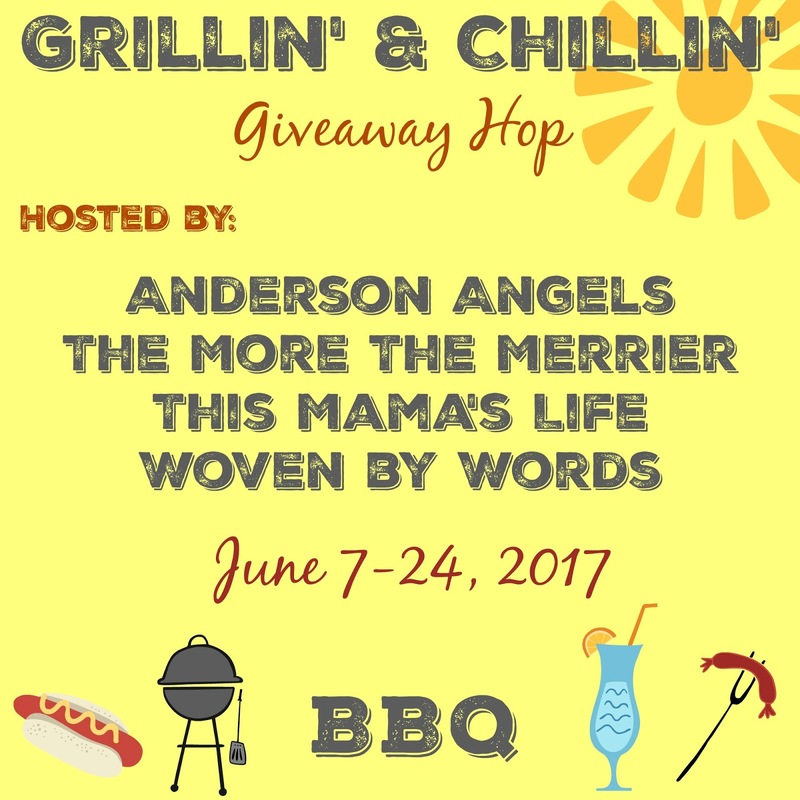 To celebrate the upcoming summer Anderson’s Angels, This Mamas Life, The More The Merrier and Woven by Words, are very excited to bring you the Grillin & Chillin Giveaway Event! 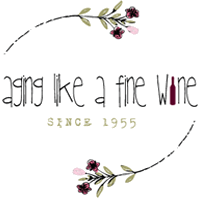 We’ve teamed up with 14 other wonderful bloggers, including Aging Like a Fine Wine, to bring you another great giveaway event! Each blog has gathered a prize package worth $25 or more so be sure to visit each blog and enter! 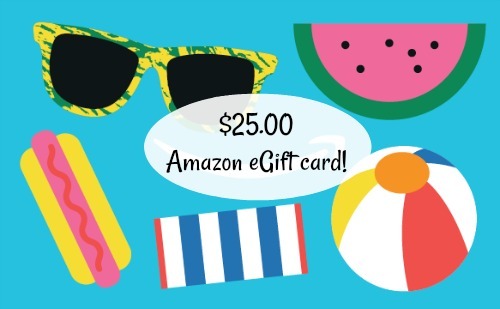 I’m giving away a $25.00 Amazon eGift card to the lucky winner of my giveaway so you can choose your own prize! After all, who knows what your needs are better than…. well, you! Hosts and participating hop bloggers of the Grillin & Chillin giveaway event are not responsible for sponsors or self-sponsoring bloggers that do not fulfill prize obligations. This giveaway event will be shared on some of the link parties found on my “Where I Party” page! My fiance’ is the griller at my house. He cooks almost every weekend. My husband is the grillmaster. My Dad loves to grill. He was the grill master when I lived with my parents. Now I am the grill master of my own house! My husband is totally the grill master in our house! I burn everything on the grill no matter how hard I keep an eye on it! My dad is the grill master in the family. My son is the grill master! My husband is the grill master in our family! My brother is definitely the grillmaster! He is a real foodie, and takes charge of it all ! My son is the grill master in my family. He prides himself on his delicious dishes on the grill. My cousin is the grillmaster…also king of the smoker. My husband is the grill master in our family. He loves to grill, and will do it all year round. Thanks. My husband is the grill master at our house! My husband is the grill master at our house! He loves it! I am the grill master! I love to cook on the grill! My hubby is the grillmaster in our family! My husband is the grill master. He is great at making the best burgers. Most definitely my husband is the grill master, because he is the main cook and the best thing is he loves to cook and grill!!!! My dad has always been the grill master. You should taste those ribs! My husband and dad are the grill masters. My husband is the master of the grill in my family. Hubs is the grill master here for sure. My younger brother is definitely the grillmaster! My son was our grill master until he got married. Now it is me. My boyfriend is the grill master. He loves to grill perfectly done steaks the most. My husband is in charge of grilling! My husband is the grill master at our house. He loves cooking on the grill and I like cooking inside the cool air conditioned kitchen. My brother is our grillmaster. And he’s really good at it, too! YUM! My father is definitely the grill master in my family. He just himself a new grill and he is going crazy grilling up burgers, brats, & hot dogs this Summer! My husband is the grill master in our house. My husband is the best grill master in our house. My husband is the grill master is our family. My husband is the grill master in the house! He is awesome! Thanks! My husband is the grill master and I’m just fine with that because I don’t have to get rained on or bitten by bugs 😉 Thanks for giving. Besos Sarah. My hubby!! Everything I grill starts on fire lol!! Hubby does all the grilling. It is delicious! I’d love to build a small fire pit in our backyard, though. It’s one of the many, many ideas and plans I’ve come up with for our home. My dad is the grill master in my family. Both my mom and dad like to grill. My hubby is the grill master at our house. We used to grill a good bit, but haven’t in a while. I want to surprise him with a new grill soon. The grill master of my family is my husband. I am the grill master at my house. My son is the grill master. My husband is the grill master. He grills meat for himself and tofu adn veggies for me! My husband is the grill master. He loves it — and I love when he grills since I can just relax! The grill master in my family is definitely a toss up between my fiance and my dad. My Husband is the grill master,he loves to do some grillin! My husband is the grill master.